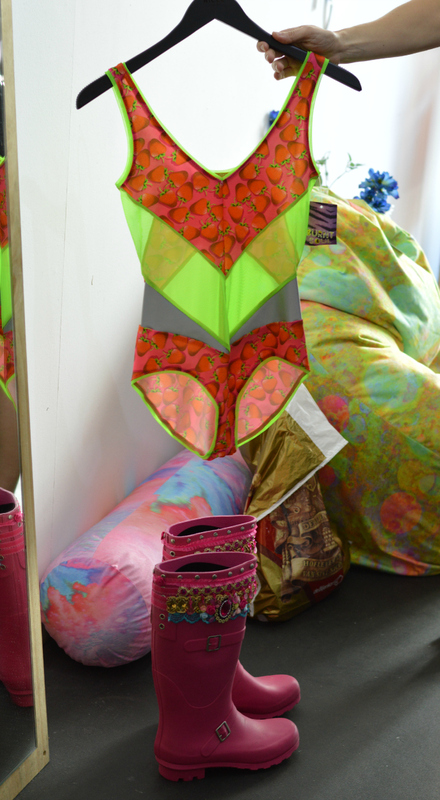 Festivaleyes is an online marketplace which sells wacky and wonderful festival wear from a number of different designers, inlcuding Mooi En Lief, who I've worked with before on this blog. This weekend, Festivaleyes have a store at Boxpark, the pop up mall in Shoreditch. The lovely Jacquelina from Mooi En Lief invited me down to have a look. 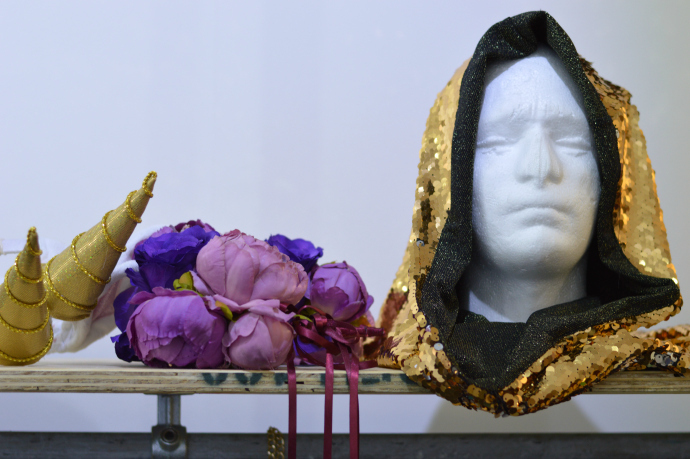 The store was filled with a plethora of fabrics and textures, noteworthy garments being a spandex catsuit and a sparkly bomber jacket. 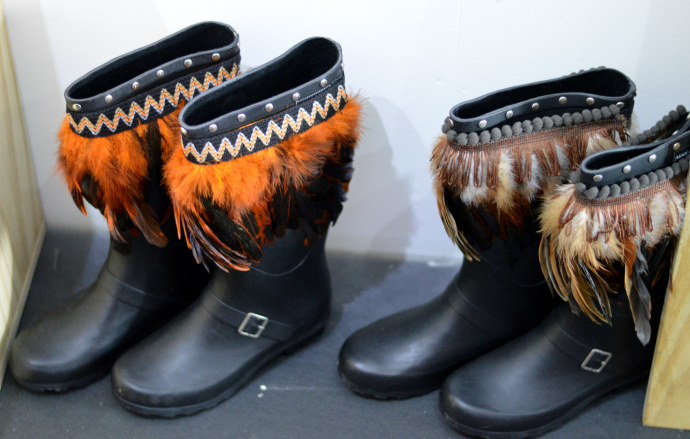 The feather wellies are my personal favourite. 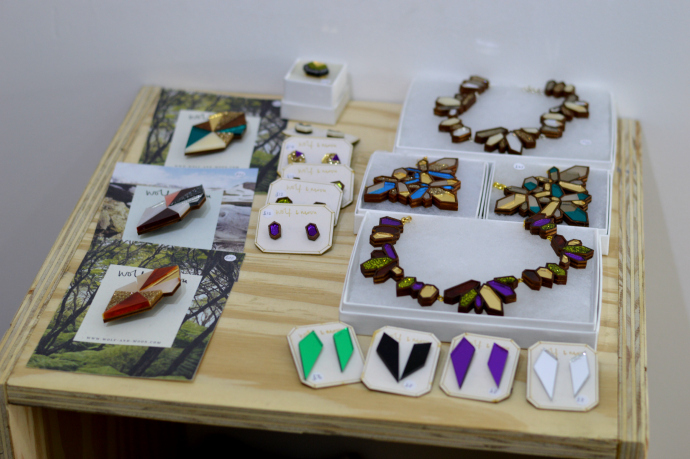 I also loved the laser-cut jewellery. There's something quite appealing about Geometric shapes, especially on necklaces. 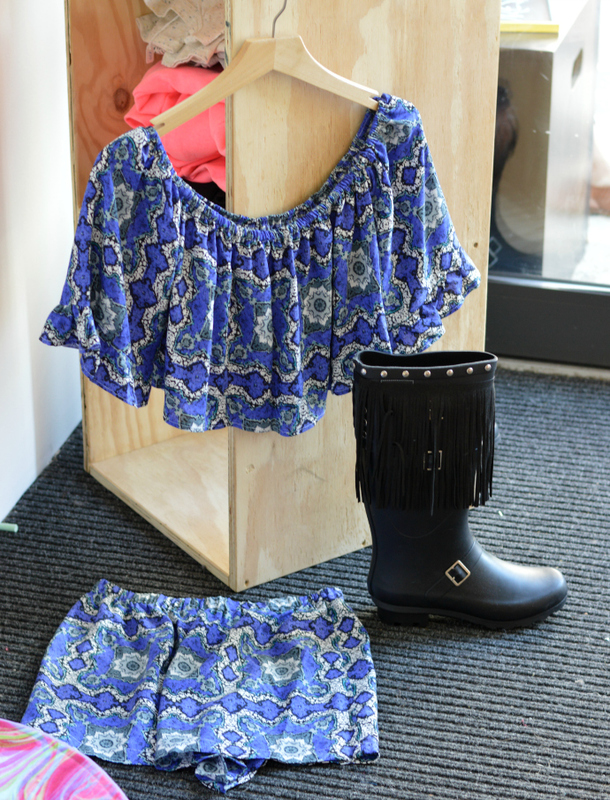 Mooi En Lief's boots fit perfectly with the vast range of quirky clothes, perfect for Summer festivals and concerts. I've never properly explored Shoreditch, so it was a great excuse to wander round and appreciate all the street art, sweet cafes and vintage shops. 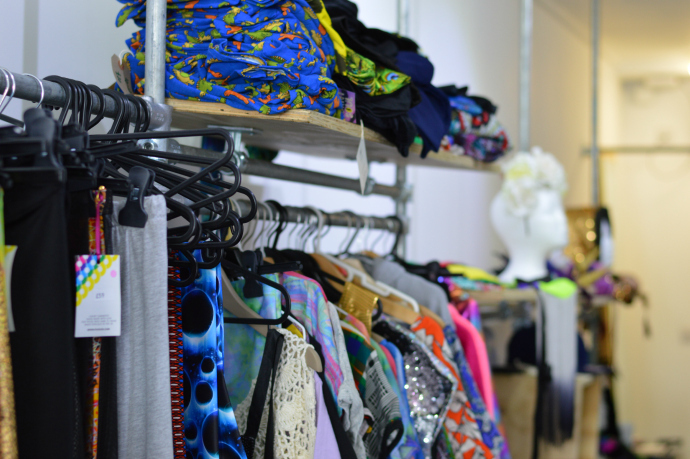 If you're nearby the Boxpark mall, make sure you have a look at the Festivaleyes store! Oh my GOSH. Those are some awesome pieces. I adore all of those geometric necklaces and earrings. That bodysuit is pretty rad as well. I'm starting to get into weirdly awesome pieces. Like thrifting, I always look for unique pieces like these. 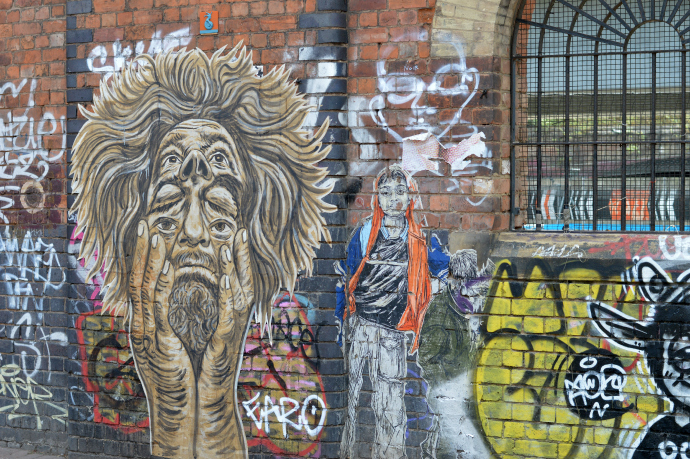 Shoredich looks awesome! I love rummaging in stores like that because you can find some amazing, one off pieces! Yeah exactly you never know what you'll find!